These shorts are impossibly smooth, out- of-control comfortable and made from light weight, fast drying micro-fiber with mesh pocket lining. To top it off, we’ve added a completely waterproof pouch in the back pocket. 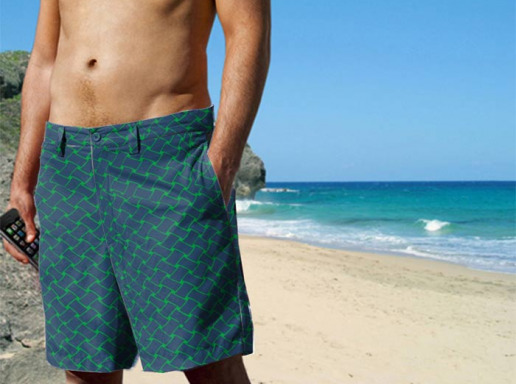 You can wear them as every day shorts, or feel free to dive into the ocean knowing your valuables are totally protected. This blazer is made to your requested size. As these blazers are custom-made please be careful to order your correct size as we do not produce extras. Refer to the sizing chart for help with your sizing; if you are in between sizes go up a size. E.G. A 41R should select a 42R.